Nothing is more important for our worldwide particle physics community than successfully turning on the LHC later this year. The promise for great discoveries is huge, and many of the plans for our future depend on LHC results. Those of us planning national programmes in anticipation of data from the LHC face formidable challenges to develop future facilities that are complementary to the LHC, whatever the physics discoveries may be. At Fermilab, this has led us to move forcefully with a programme at the intensity frontier, where experiments with neutrinos and rare decays open a complementary window into nature. Our ultimate goal for a unified picture of nature will have to synthesise what we see at the energy frontier in LHC experiments and at the intensity frontier in both rare decays and neutrino experiments. Turning on the LHC has a high priority for us at Fermilab. Some of our best experts have joined the effort to diagnose and repair the LHC and help turn it into a reliable physics engine. 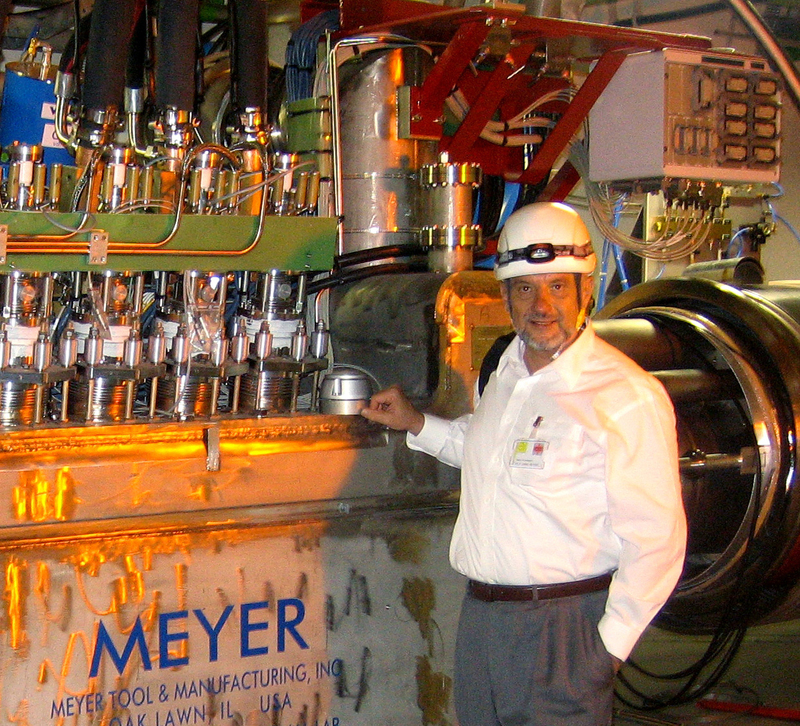 We have posted our folks to CERN and contributed staff for the various review committees. Our Fermilab experimentalists are contributing to readying CMS for data-taking and for the analysis to come. We appreciate that we have been warmly welcomed into all aspects of the work. We also appreciate—first-hand—the enormous talent, resources and determination that our colleagues at CERN bring to the repair and commissioning of LHC. When the LHC begins physics operations, we at Fermilab will be very nearly as delighted as you are at CERN. In the meantime, we continue to run the Tevatron, where the contributions of European participants to CDF and DZero continue to play the vital role they have had since these experiments began. For a little while longer, the Tevatron has a unique role at the energy frontier and an important discovery potential. Some Tevatron measurements will be complementary even after the LHC is well under way. As we collaborate on the LHC and work alongside you for its commissioning, we also compete and race to get some important results at the Tevatron first. The press makes much of this competition, especially for the first observation of the Higgs. All this publicity is good for the field – everyone loves a race. But for us physicists the cooperative aspects far outweigh the competition. Many physicists in the US and Europe contribute to both efforts. The sooner we have results and start to understand the great mysteries that we confront, the more exciting and compelling our field becomes.